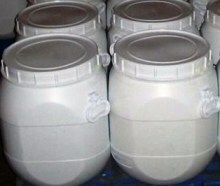 Synonyms: Sodium thiosulfate anhydrous, Ametox, Antichlor, Sodium Hyposulfite anhydrous, Thiosulfuric Acid disodium salt anhydrous, Hypo anhydrous, Sodium thiosulphate anhydrous, Sodothiol, Sulfothiorine. May causes mild skin irritation. Products of Combustion: It emits toxic oxides of carbon and oxides of sulfur when heated to decomposition. Fire: Sodium thiosulfate anhydrous may ignite at high temperatures. Explosion: An explosion may occur if triturated with nitrates, chlorates, or permanganates. Fine dust dispersed in air in sufficient concentrations, and in the presence of an ignition source may pose dust explosion hazard. Fire Extinguishing Media: Water spray, dry chemical, alcohol foam, or carbon dioxide. Use means suitable for extinguishing surrounding fire. 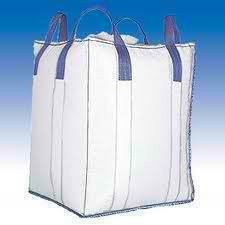 Keep Sodium thiosulfate anhydrous in a tightly closed container, stored in a cool, dry, ventilated area. Protect against physical damage or contact with oxidizing material and combustible substances. 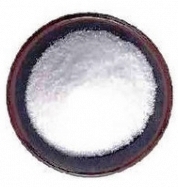 Appearance: Sodium thiosulfate anhydrous is white powder or granules. Stability: Sodium thiosulfate anhydrous is stable under ordinary conditions of use and storage. Avoid heat and moisture. Hazardous Decomposition Products: It emits toxic oxides of carbon and oxides of sulfur hydrogen sulfide along with sodium oxide when heated to decomposition. Incompatibilities: Nitric acid, fluoride, sodium and potassium nitrate, strong oxidizers, mercury, chlorine, iodine and diketene. LD50 Oral - rat - > 8.000 mg/kg on anhydrous basis. Mutagenic Effects: Not available. However it may have mutagenic effect. Thiosulfate occurs naturally in the body. Toxicity to fish: LC50 - Gambusia affinis (Mosquito fish) - 24.000 mg/l - 96 h on anhydrous basis. Environmental Fate: No information found. The product itself and its products of degradation are not toxic. This chemical is readily biodegradable and is not likely to bio-concentrate. SARA Codes: 7772-98-7: Not controlled. TSCA: CAS# 7772-98-7 is listed on the TSCA inventory.